Cincinnati is fortunate to have one of these iconic structures, Bellarmine Chapel located at Xavier University. Built in 1962 and designed by Architect Albert V. Walters, the Bellarmine Chapel’s roof has a 122 foot roof span is supported by steel tension cables underground connected to the roof support pillars. 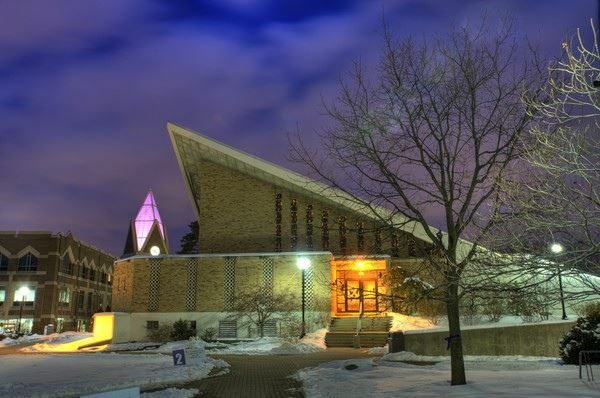 The Chapel’s website notes “The hyperbolic paraboloid was meant as a representation of the advanced style of construction and design.” The Chapel was remodeled in 1998, and an addition was designed and built in 2005.